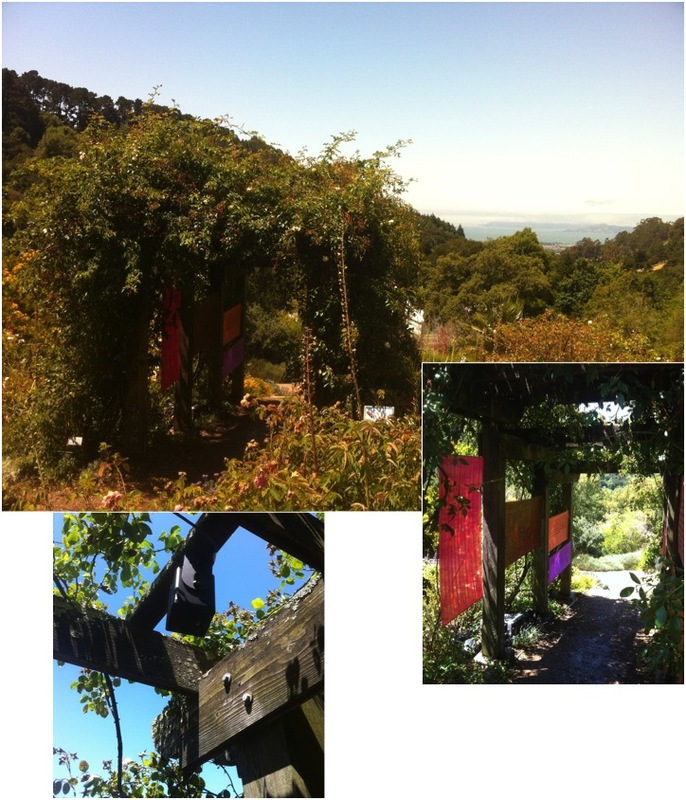 This multichannel sound installation is part of the show Natural Discourse at the UCBerkeley Botanical Garden. The composition (by Emily and me) is essentially a text setting of poems, conversations and prose about some of the flowers in the Garden of Old Roses, where it is installed on the arbor. The harmonic movement is meant to suggest the patterns of growth that surround the piece — it cycles through a progression of unison/octaves, then moves through the intervals of 2nds, 3rds and 4ths in sequence. After “blooming” to the 4ths (and by inversion, 5ths), the piece goes to seed by falling into a section outside of harmonic content. Then the cycle repeats continuously, shuffling randomly through the different versions of these harmonic sections. In a separate orbit, the texts and conversations are recited. This piece uses a modified version of my familiar recipe of spectral-, granular- and cross- synthesis, and is spatialized over an array of 6 loudspeakers. This piece is a collaboration with Shirley Watts (textiles) and Deborah O’Grady (photography). A loudspeaker version of the piece was installed for the opening. After the opening, the piece has existed online, with QR code links installed at the garden.